Welcome to the Russian Association of Roses! If you love roses and want to know all about roses: novelties in the world of roses, growing roses in Russia , pruning and covering roses, to visit rose shows and rose trials , you've come to the right place. DEAR PROFESSIONALS AND AMATEUR ROSE GROWERS! Today the opportunity of joining the World Federation of Roses Societies was presented to us. On May 5, 2007, Russia in the person of «the Russian Association of Roses» has joined the WFRS (The World Federation of Rose Societies). Today each of you can become a member of «the Russian Association of Roses». 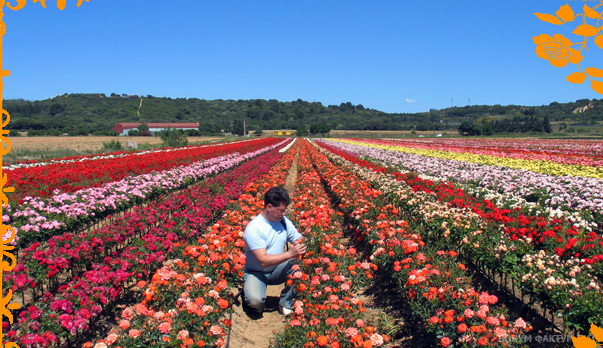 Our main objective is promotion of rose culture in Russia and expansion of knowledge of roses. We are planning to issue the annual printed edition on growing roses in Russia; organise training programs, symposiums, stage rose shows, run ground tests and rose trials, provide our members with the information on novelties all over the world and to help in purchasing rose stock. We shall be glad about your joining «the Russian Association of Roses». The Russian Association of Roses took part in the XIV International flower – show and the show of the equipment and materials for landscape gardening and flower industry "FLOWERS 2007". Representatives of the Russian Association of Roses have visited the Royal National Society of Roses and rose stock nursery "David Austin Roses Ltd " of the Great Britain. In the nearest future rose trials are to be held in Russia. Follow the announcements.